In our workshop, we have been designing a new toy wooden gun model in SolidWorks. 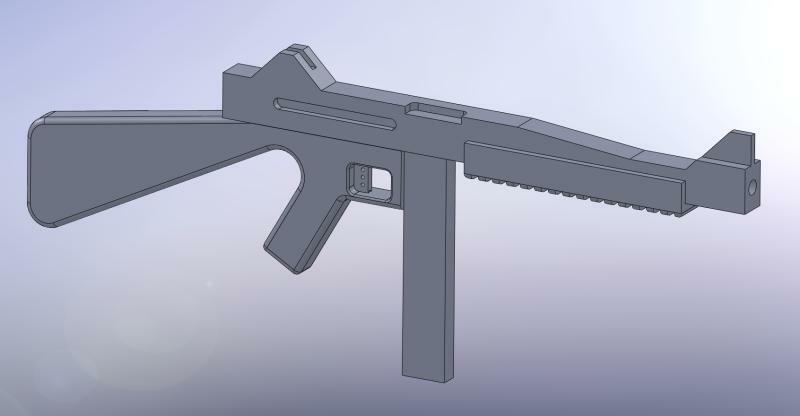 This is inspired by the classic Thompson Machine Gun from the early 1900’s in the US. We will probably make it out of maple or walnut, and either paint or stain it.